A ruling has been issued from the Federal Motor Carrier Safety Administration (FMCSA) that makes the use of electronic logging devices (ELDs) mandatory for most drivers and motor carriers. To be considered compliance, carriers currently using papers logs must have ELDs installed and in use by December 18, 2017. The device synchronizes with the engine of a commercial motor vehicle (CMV) to record driving time and monitors important information such as location, vehicle movement, engine hours, and miles driven. Reducing the amount of time that truck drivers and administrators spend on paperwork dramatically. Simplifying the process of keeping Records of Duty Status. Reducing cost associated with paper logbooks and processing. Decreasing the risk of errors in record-keeping. Increasing the efficiency of inspections. In addition to reducing the burden and costs associated with paperwork, ELDs can increase fleet compliance, productivity, and most importantly, driver safety. 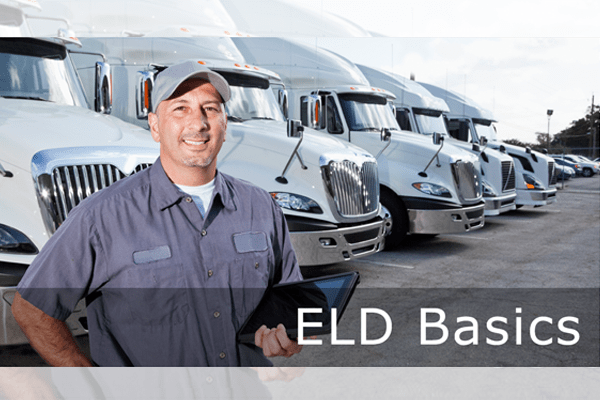 A tablet or smartphone can be used as part of the ELD solution provided it meets the FMCSA’s technical specifications and is registered and certified. Our mobile app Geotab Drive can be used on both iOS & Android tablets for Hours-of-Service (HOS), Driver Vehicle Inspection Reporting (DVIR), and Driver Identification. The smart driver app syncs data between the GO device and tablet to provide numerous functions, such as violation alerts, automatic duty status changes, among others, and complete end-to-end inspection workflow. My Fleet Uses AOBRDs. Do I still need to adopt ELDs? All motor carriers and drivers must be using ELDs by December 16, 2019, according to the FMCSA. However, during the first two phases of transition and compliance (four years from the final rule publication date), the FMCSA permits the use of automatic on-board recording devices (AOBRDs). It’s smart to start evaluating and choosing ELDs as soon as possible. By starting the process now, you can leave enough time for implementation and training, and as well, your fleet can start taking advantage of great benefits that ELDs have to offer. you must be using ELDs by December 18, 2017. Refer to the FMCSA’s website for more compliance information. For more information or to get started with Geotab Drive contact your sales rep or our support team. What are the Best Methods of Live GPS Tracking?